Listen to your favorite tunes in style with Fashionation eco-speakers. These speakers are made from recycled materials, comes in a variety of colors and styles, and folds flat for easy storage and portability. Oh, and they’re affordable too! 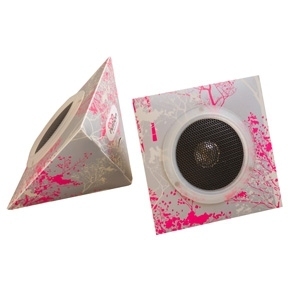 Neo Speakers, FashionationStyle.com, $14.95. 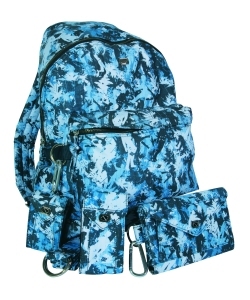 Check out Boosted Sustainable, the new eco-friendly line from Boost Mobile which contains cool accessories that are made of rip-stop hemp and recycled plastic bottles. Sustainable-Style.org, Price available upon request.